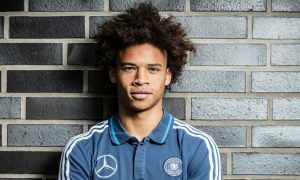 After protracted negotiations, Manchester City’s pursuit of Schalke winger Leroy Sané has entered its ‘final phase’, BILD is reporting tonight. Though the 20-year-old agreed to join City a while ago now, the clubs have struggled to reach an agreement, but the German newspaper claims that Schalke sporting director Christian Heidel and City chiefs are now close to a striking a deal. An agreement is now said to be ‘imminent’ and the transfer could be closed in the coming days. Schalke have demanded €50 million (£41.8 million) in full from City, but the two sides are working towards a compromise where the Gelsenkirchen-based club could receive that much, but over time and not up front. City want to pay an initial fee in the region of €37 million (£31 million), which would be Sané’s reduced release clause next summer, with many bonuses to follow. Those would depend on things such as Sané’s goals, appearances and trophies won, meaning if the youngster is a success in Manchester, Schalke would get their full asking price. Only ‘little things’ are now preventing one of the biggest deals of the summer taking place, and Schalke are also planning to use the funds on a couple of players to strengthen the squad. Leroy Sané to Manchester City now seems to be just a matter of time!